This month’s program will be Show and Tell – bring in the 3D stuff which you have bought , taken, inherited, etc. this summer to share with the club. We will also get a report on the Irving, TX, NSA convention and attend to some other administrative matters. The projection will be View-Master. This is your chance to bring in some reels which you would like to have projected. If you have reels from the area, bring the by to share. 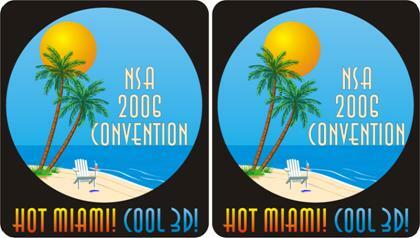 We will aslo have the award winning VM reels from the convention this summer. The meeting is the 2nd Friday of this month – September 9. We will meet at 7:30 PM at the Congregational Church @ 2676 Clairmont Road (about 1 1/2 blocks south of I-85) This is the Church up the winding road, through the woods. If you have any questions, call Bill @ 706-859-7726.